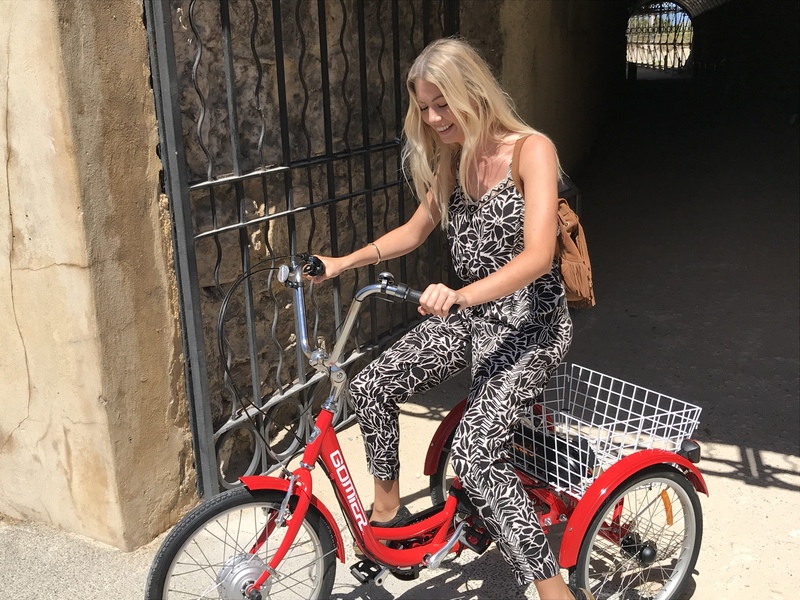 The Gomier Tricycle with a Solarbike conversion kit: The trike of your dreams starting at $1950! 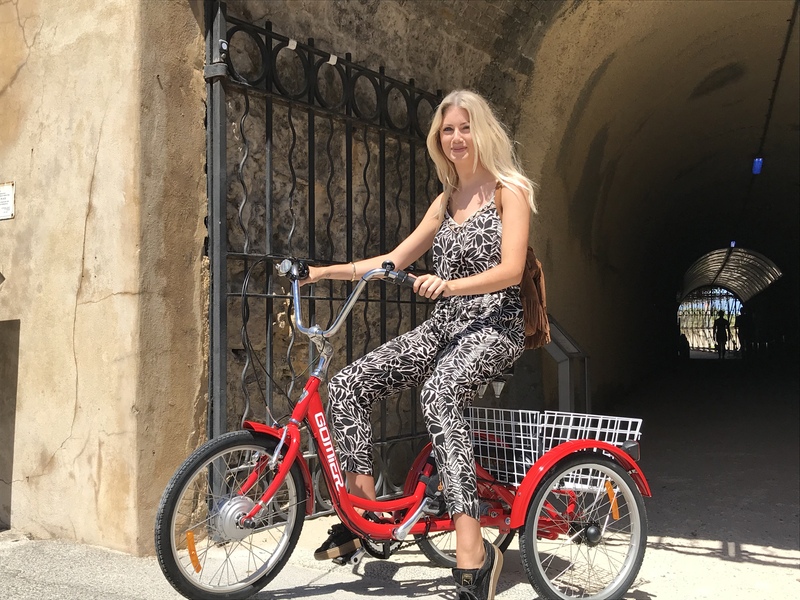 Stylish and practical the Gomier Tricycle goes from strength to strength when it’s fitted with one of our electric conversion kits. 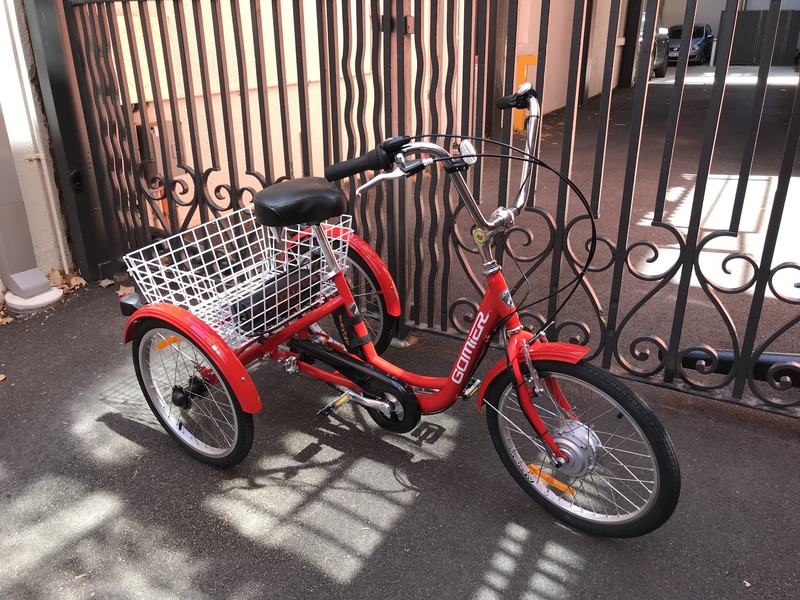 We’ve fitted this one with a 36V 11.6Ah Panasonic tube battery, an intuitive throttle control and a 250watt front hub motor to make riding an absolute breeze. 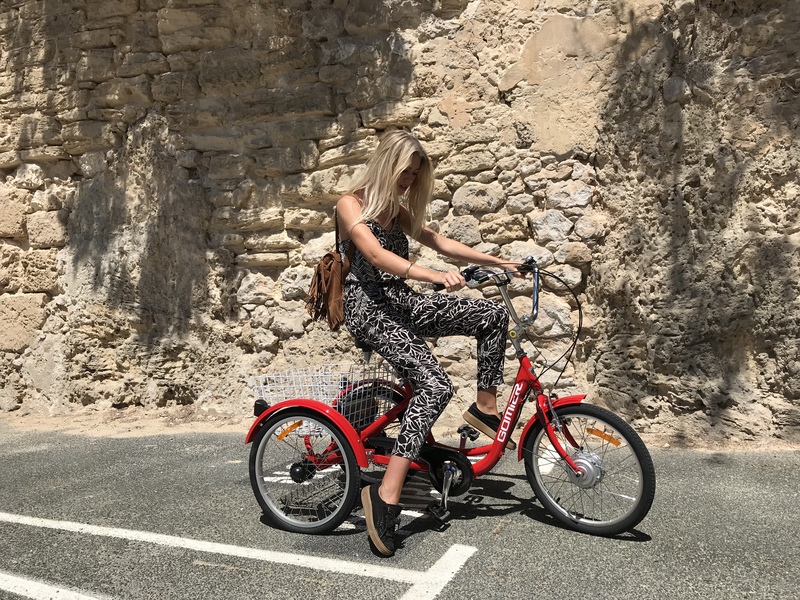 The comfortable stepthrough style frame makes mounting and dismounting the bike easy whilst also providing an upright riding position with good all-round vision. 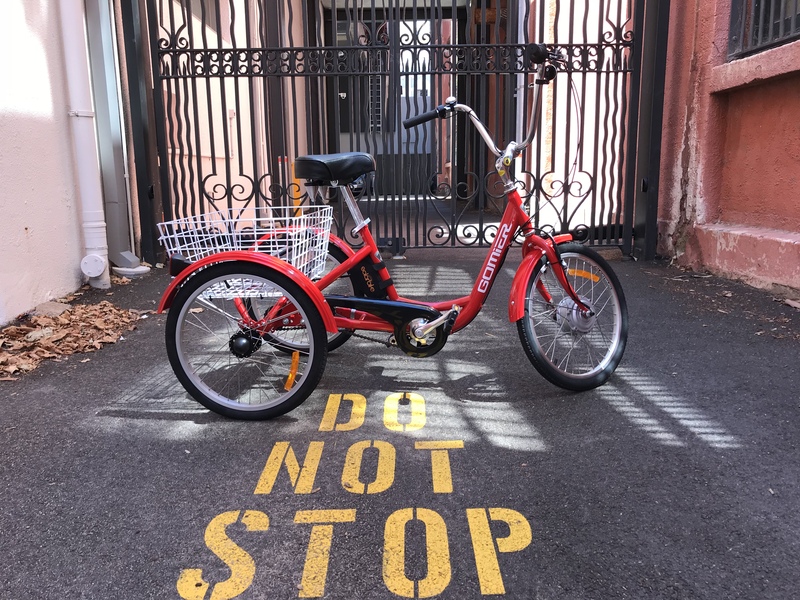 With its stable wheelbase, the Gomier tricycle is the perfect option for anyone experiencing mobility and balance issues or even just those more advanced in years. 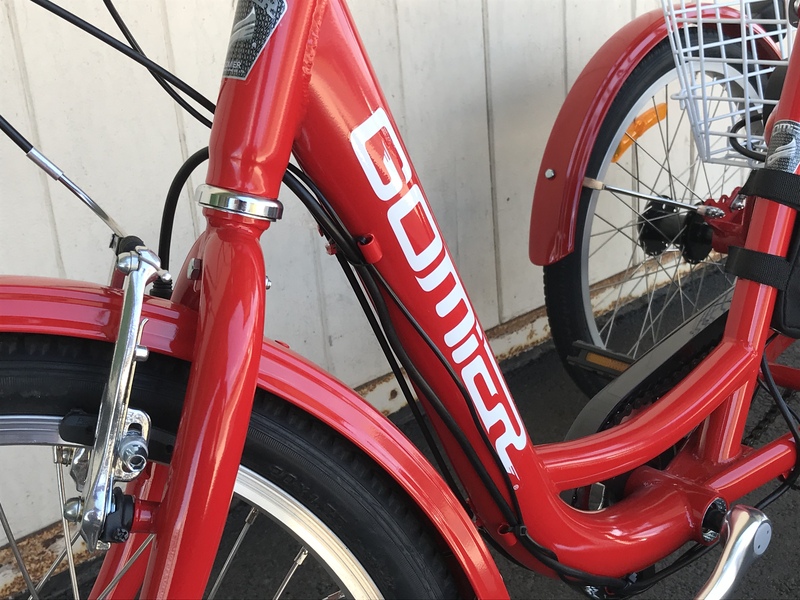 It has a very cruisy and laid back feel to it and with its striking looks you’ll be sure to catch a few compliments here and there. 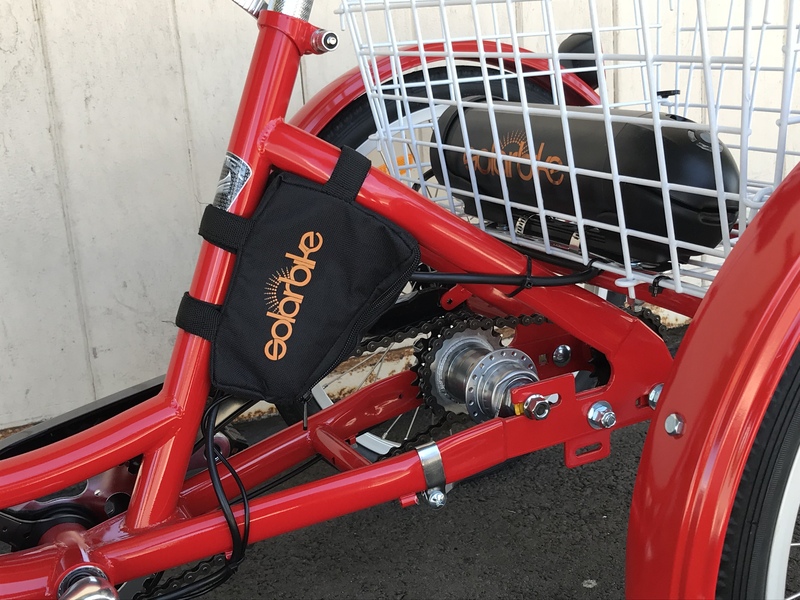 Additionally, the carrying capacity on the trike is amazing having providing the most cargo space short of having a trailer attached! Bringing home the groceries or carrying your tools of the trade to work has never been so easy! 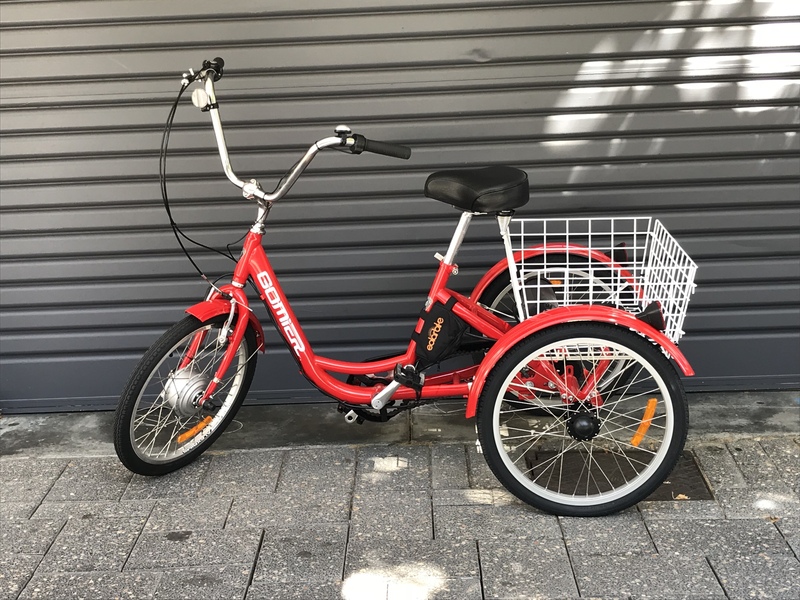 This 20″ model is perfect for a smaller person, but for someone larger there are 24″ or the 26″ options available as well as an industrial model for heavy duty use. 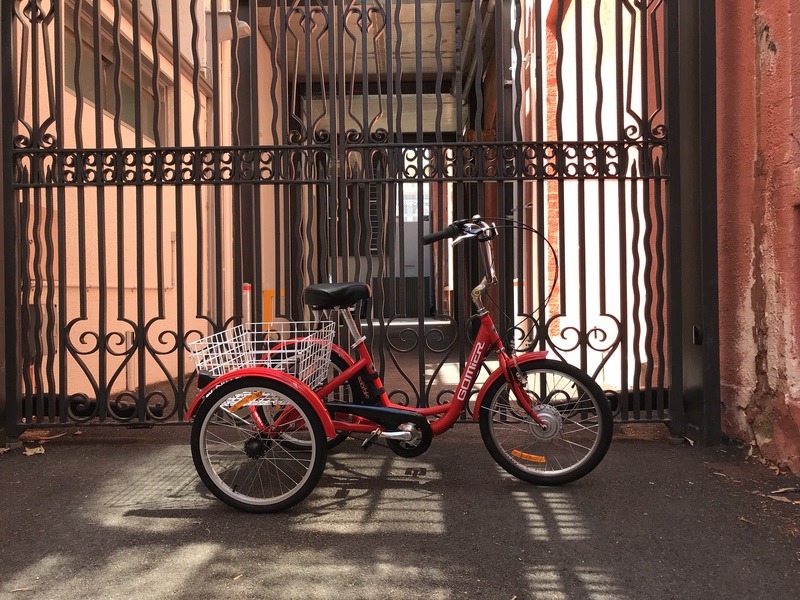 Whatever your size or needs there’s a Gomier tricycle to suit you. Colours: Red (Black and Blue also available, yellow for the industrial version.